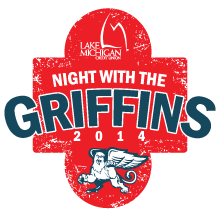 News from LMCU: Get up for a Night With the Griffins! Get up for a Night With the Griffins! Come watch the 2013 Calder Cup Champion Grand Rapids Griffins take on their AHL rival, the San Antonio Rampage, and get special package pricing and perks! See LMCU.org or visit any branch for details. See you at the game!